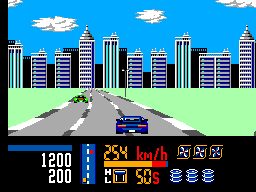 Sega8bit.com - Taito Chase H.Q. 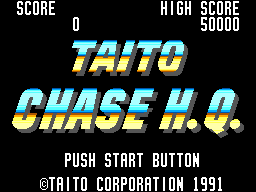 Full Title: Taito Chase H.Q. "New York, - to help eradicate crime, the Manhatten Police have established a special investigation headquarters. They call it CHASE H.Q. 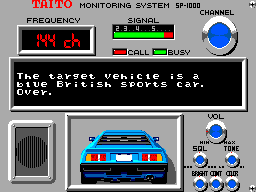 - its objective: to arrest criminals escaping in cars from the scene of a crime."